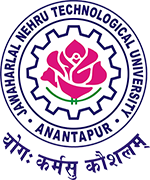 JNTUA 4-1 Results Nov 2018: JNTUA B.Tech 4-1 Sem (R15, R13, R09) Regular/Supply Exam Results Nov/Dec 2018 are declared at jntuaresults.azurewebsites.net. Students can check Jntu anantapur 4th year 1st sem R15, R13, R09 results below. JNTU Anantapur has successfully conducted b.tech 4-1 Semester Regular/supplementary examinations in the month of November/December 2018. The students who have appeared for the 4th year 1st semester examinations now searching for the jntu anantapur B.Tech 4th Year 1st Semester Results 2018. The results will be available here, when the university officially announced. Then the students can check your results from official website or links given below. The candidates can simply visit the official website of JNTU Anantapur to know the Exact Results announced Date. Actually in the month of November/December 2018 Jntua has conducted the B.Tech 4-1 sem Regular/Supply Examinations to the R15, R13, R09 Regulation students. So all the students who have appeared for the Jntua 4-1 exams are now eagerly waiting for the 4-1 R15 results, jntua 4-1 R13 results and jntua 4-1 R09 results. Here we are provide you JNTUA 4-1 results for ECE, ECE, MECH, CIVIL, CSE, IT, AE…..more. JNTUA Results of B.Tech IV Year I Semester (R15,R13,R09) Regular Examinations Nov/Dec 2018 declared. The candidates who wish to apply for recounting of theory external marks/challenge valuation/photocopy of answer script should submit the requisitions to their Principals along with the attested statement of marks with necessary fee on or before 04.02.2019(R15), 18.02.2019(R13, R09). There is no recounting for laboratory external. The processing fee for recounting (non-refundable) for each theory external is Rs.100/-. The fee for challenge valuation is Rs. 10,000/- per subject. we are waiting for b-tech 4-1 r13 results, can you find fist release my results as per as possible..